The concept behind some geological scientists labeling of the current era as the "Anthropocene" is that, having used, abused, and bred in vast abundance on the planet, now it is up to humans to make and keep the place habitable. My friend Brendan Smith is an oysterman; he lives by harvesting and marketing these mollusks. … Rather than relying on mono-aquaculture operations, these new ocean farms are pioneering muti-tropic and sea-vegetable aquaculture, whereby ocean farmers grow abundant, high-quality seafood while improving, rather than damaging, the environment. 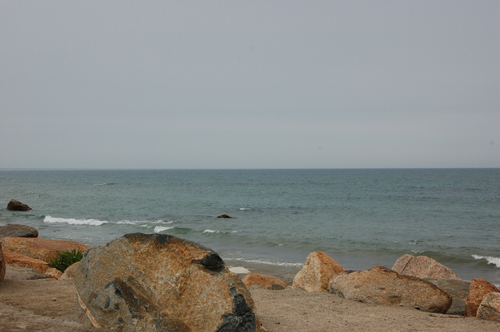 One example is Ocean Approved in Maine, which cultivates seaweed that doubles as a nutrient-rich food source and a sponge for organic pollutants. Farmers in Long Island Sound are exploring diversifying small-scale organic shellfish farms with various species of seaweed to filter out the pollutants, mitigate oxygen depletion, and develop a sustainable source for fertilizer and fish meal. In southern Spain Veta La Palma designed its farm to restore wetlands, and in the process created the largest bird sanctuary in Spain, with over 220 species of birds. Seaweed farms alone have the capacity to grow massive amounts of nutrient-rich food. Professor Ronald Osinga at Wageningen University in the Netherlands has calculated that a global network of "sea-vegetable" farms totaling 180,000 square kilometers -- roughly the size of Washington state -- could provide enough protein for the entire world population. 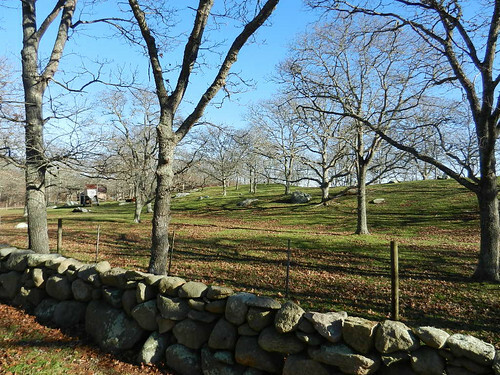 The goal, according to chef Dan Barber -- named one of the world's most influential people by Time and a hero of the organic food movement -- is to create a world where "farms restore instead of deplete" and allow "every community to feed itself." Smith explains that sea weed and shellfish can absorb and filter out huge quantities of the excess carbon dioxide and nitrogen that unthinking human exploitation of the planet has let loose. Sea weed can be used for biofuels without the pollution and cost in human foods that goes with using corn to make ethanol. Smith is well aware that what he is proposing is controversial. We face a bitter new reality: Mitigating the effects of climate change may force us to develop our seas to save them -- and the planet. This re-imaging of the oceans will be heart-wrenching and controversial. Our waters are revered as some of the last wild spaces on Earth -- ungoverned and untouched by human hands. If we develop our oceans, farms will some day dot coastlines, mirroring our agricultural landscape. But in the face of the escalating climate crisis, we have little choice but to explore new ways of sustaining humanity while protecting the planet. Welcome to the Anthropocene. We broke it and it is up to us to fix it. Go read the whole article. Despite every other legitimate concern, we cannot ignore that our economic and social system is rapidly making the planet less habitable. So I will be posting "Warming Wednesdays" and/or "Annals of the Anthropocene -- unpleasant reminders of an inconvenient truth. Changes are coming at this blog. For the first time in a long time, I've taken a demanding job that will thrust me into the thick of a serious electoral fight. 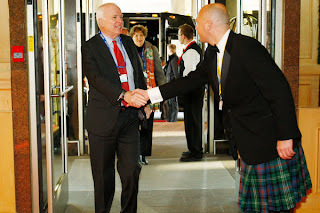 While I doubt that the blog will go silent (I never lack for running commentary on our politics and society, not to mention photos), there may be days when nothing new comes along. Or perhaps other days when content here is a few lines and a link pointing of some piece of writing that interested me. I've taken the position of field director for the SAFE California campaign. We seek to replace the death penalty with a sentence of life without parole. That is, if a criminal act so harms individuals and/or California society that our hunger for justice makes us long to kill the perpetrator, instead we'll ensure that person gets locked up for the rest of his/her life, no exceptions and no fooling. The initiative measure will be on the 2012 ballot. We put in death sentences by popular vote in 1978, so we can only end them in the same way. It's not as if a law enforcement environment including the death penalty has done the state any good. According to U.S. Court of Appeals Judge Arthur L. Alarcon, the near bankrupt state of California has spent $4 billion on the death penalty since 1978 -- and executed all of 13 people. Meanwhile, 46% of murders and 56% of rapes go unsolved. Maybe if we were putting more resources into solving crimes than into failing to execute people we'd be safer? We have hundreds of people already locked up on "death row" who are absorbing our money while our cops seem unable to investigate violent "cold cases." And, of course, the risk that we might execute an innocent person never goes away. There's entirely too much evidence that Texas recently put to death Cameron Todd Willingham for setting a fire that killed his children. But the convincing "expert" testimony leading to his conviction had no scientific basis; he was almost certainly innocent. Mistakes can happen: in March 2011, a man named Franky Carrillo was released from prison in California after 20 years of incarceration for a murder he did not commit.There's no correcting a "mistake" when the death penalty is carried out. When I tell people that I am working on a California campaign to end legal executions, they usually ask something like: "but don't California voters believe in the death penalty?" And if the questions is asked like that, many people agree. But we like a lot of other things as well: public safety, low taxes, good use of state resources, a legal system that delivers prompt and reliable justice for all. A majority of the electorate is well on the way to understanding that the death penalty actually impedes these other goods that they value. The campaign's job is to help people solidify that emerging understanding; when they do, a majority are willing to go with a system that ensures that really dangerous criminals never come back on the streets. I won't be writing about the campaign much, though I am sure that I'll occasionally share vignettes from the process. The death penalty is a deeply emotional subject; the thought of executing another human being forces most of us to ponder what we believe and value. Occasionally I may have experiences to share, but mostly campaigns are to be lived (and survived) first and analyzed only later. There is nothing to celebrate in how ranked choice voting worked in San Francisco's mayoral election this year. I continue to believe this scheme is anti-democratic, undermining informed participation and commitment to the civic process. Progressive enthusiasm for it comes out of our least attractive delusion: we wish we could make politics harmonious, all sweetness and light. But since politics is about how we adjudicate the nasty clashes of interests that pervade any society, our gimmicks never deliver that utopian dream. There are real contests between opposing interests and in a working democracy these are clarified and decided by elections. Ranked choice voting is a "good government reform" meant to encourage us to pretend otherwise. Now a couple of (right-leaning) Supervisors are threatening to try to upset this apple cart by repealing ranked choice; I wish them well. … RCV must be expanded – especially in elections with multiple viable candidates – to include more than three choices. Portland, Maine just had their first mayoral election with Ranked Choice Voting – where voters got to “rank” all fifteen candidates. If San Francisco had such a system this year, we would not have seen 16% of all ballots “exhausted” [cast for three candidates who didn't make the top two] – because voters could have likewise ranked all the candidates. This is nuts. He's generously advocating to give voters an opportunity to vote for 10 or so candidates they don't want to elect and that is somehow an improvement? It you want to make elections even less appealing and more of a laughing stock, expand this silly system. Elections are about figuring out what candidates stand for, deciding who is closest to in-sync with what you want in government, often having to make lesser evil choices to pick someone to support, and electing that person. They are not about Rube Goldberg schemes to game complicated ballots -- they are fights over policies and perceived fit for a particular office. 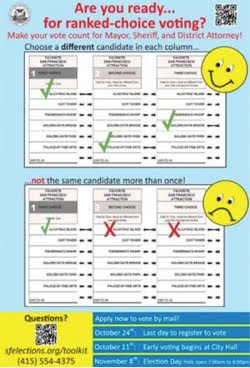 San Francisco's ranked choice voting apparently discourages voting: this author neglects to mention that our recent 12 mayoral candidate race merely got 42 percent of us out to vote. The large number of implausible candidates conveyed an impression to the casual observer that little could be at stake; who could take such a process seriously? So many voters didn't bother. A runoff boils the field down to candidates who must take a stand on the chronic San Francisco issue -- is the city to be playground for the financial barons of the one percent or a livable environment for its citizens and families? In a run off, issues get clarified and fought out. In our current Mickey Mouse system, it is impossible to discern the issues and contrasts amid the noise and foolishness. 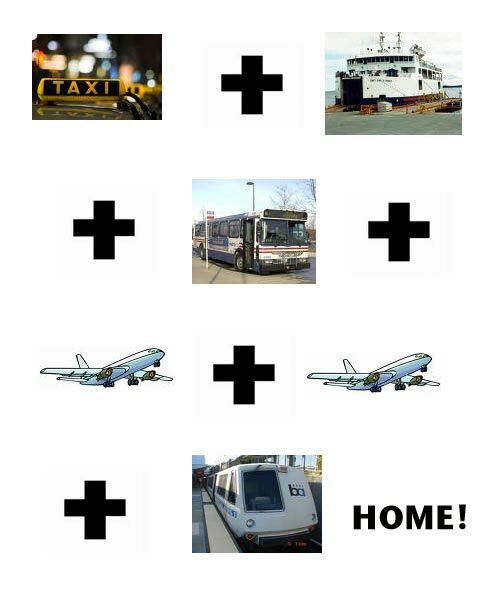 We've given ourselves a flashy "modern" anti-democratic process that only a math nerd could love; we've deprived ourselves of our most valuable arena in which citizens have an opportunity to decide the city's direction. Instant run-off voting gives voters a false sense that somehow they are not forced to make a hard choice about who gets to be in power; they can just play this cute little popularity (and name recognition) game and that passes for citizenship. Expanding RCV should stay in kindergarden where we are socialized to make nice; politics ain't bean bag. Elections should present hard choices and people need to be encouraged to know that, not have it hidden in a silly muddle. It's a long trip from Martha's Vineyard to San Francisco -- over 12 hours when all works smoothly as planned. 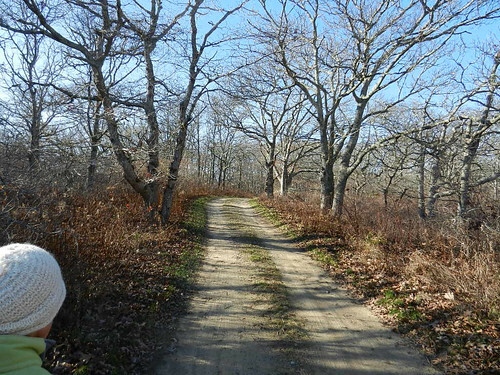 Any additional blogging today will have to wait until we pass through one of several well-connected temporary stopping points along the way. 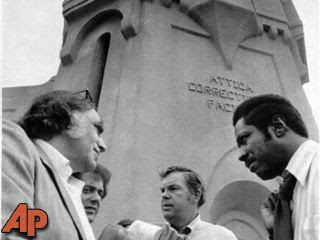 Tom Wicker at center outside Attica Prison. I read Saturday's obituary in the New York Times for columnist and reporter Tom Wicker -- and wondered. The focus was on his reporting from the midst of the chaos in Dallas the day John F. Kennedy was murdered and on his various subsequent positions with the paper. That's not how I remember Wicker -- a writer I read regularly for several decades. For me, he was the voice of white establishment anti-racism. His was not a cutting edge position, but it was a vitally necessary contribution to the changes our society has accomplished over the years. Hearing of Wicker's death, I thought to reread this book. Sadly, it seems no longer available from the San Francisco Public Library. That is not a good thing. They speak of this land as grey and harsh -- and so it would be without the sun. 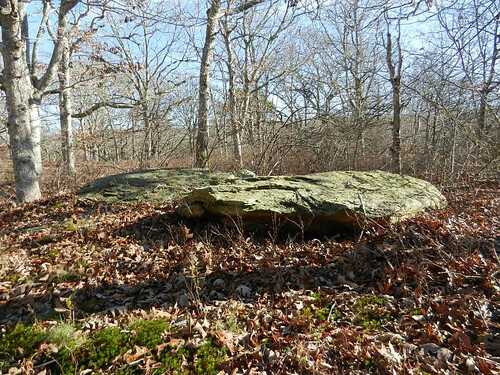 The rock and trees have seen it all. Don't tell Frisker (she's home, mostly alone) but I'm getting to spend Thanksgiving weekend with Emerson. Despite what one might gather from this apparently dignified pose, he's a bundle of youthful energy, charging about and trying to sneak outside to chase blowing leaves. ... More broadly, if you compare the era in which most of us have lived to the previous fifty years (1900-1950), there's little question that we've enjoyed a period of comparative benevolence. The first half of the 20th century witnessed two enormously destructive world wars, the worst economic depression in history, and several brutal genocides. The past sixty years has its own share of tragedies, to be sure, but the overall level of violence was much lower, economic growth was fairly steady (until recently), and many of us never had to endure the insecurities, travesties, and sacrifices that earlier generations experienced or that were still common in other parts of the world. Most Americans ought to be especially grateful for their extraordinary good fortune, and Thanksgiving is an appropriate time for us to reflect upon it. And as I watch Europe teeter on the brink of financial collapse, observe the violent political contestation that is sweeping the Middle East, note the rapidly shifting balance of power in Asia, and contemplate the tragicomic follies of our so-called leaders in Washington, I do wonder how long it will last, and whether I will look back with regret at the tranquility we have lost. By the end of the year, U.S. troops will have left Iraq. Egypt continues the struggle to define what follows tyranny. Despite the Libyan adventure, U.S. power continues to wane in what we call the "Middle East." Tony Karon at Time summarizes caustically. It's just as well, perhaps, that the Administration has begun talking of a "Pacific century," moving troops to Australia even as it withdraws from Iraq. Because for better or worse, 2011 will be remembered as the year the Middle East, as a region, declared its independence from U.S. influence. We aren't good at noticing when long established human arrangements finally begin to crack open. We have a hard time assimilating that the planet itself is changing under stress. But looking away doesn't calm the storms; we're in for unfamiliar seas. 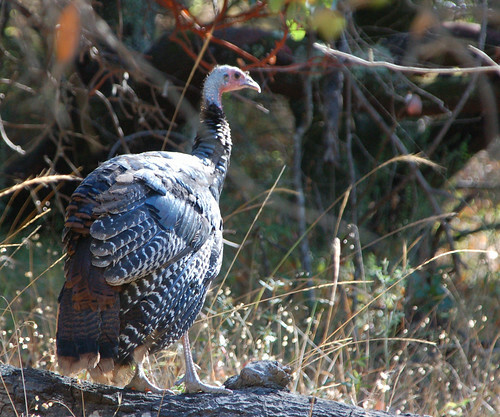 A wild turkey, sighted at California's China Camp State Park in the fall of 2011; this too is one of the many parks California is closing or privatizing to balance its budget. A least one of the founding fathers thought this native bird would have made a better national symbol than the one chosen. 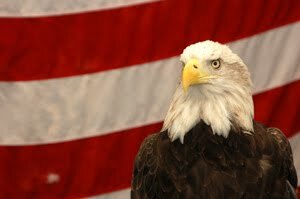 "For my own part I wish the Bald Eagle had not been chosen the Representative of our Country. He is a Bird of bad moral Character. He does not get his Living honestly. You may have seen him perched on some dead Tree near the River, where, too lazy to fish for himself, he watches the Labour of the Fishing Hawk; and when that diligent Bird has at length taken a Fish, and is bearing it to his Nest for the Support of his Mate and young Ones, the Bald Eagle pursues him and takes it from him. "... For the Truth the Turkey is in Comparison a much more respectable Bird, and withal a true original Native of America... He is besides, though a little vain & silly, a Bird of Courage, and would not hesitate to attack a Grenadier of the British Guards who should presume to invade his Farm Yard with a red Coat on." The birds Franklin knew would have been smaller than the one many of us eat today, and if slaughtered, the meat would have mostly dark, unlike modern commercially farmed breeds who are all white breast. I am not particularly a fan of the tradition of eating turkey on the Thanksgiving holiday, so I am glad to report that we're having duck. I don't know what Franklin thought of the duck. Best wishes to all on this most pleasant of holidays. If you are like me, you often turn to the net to answer such mundane questions as "will it be hot today?" or "will I need a raincoat when I travel to the east coast?" My usual source for weather information is The Weather Underground. Now, in cooperation with Green TV, they are offering new videos every two weeks about extreme weather events that seem to signal global warming. Living in a more dramatically changeable climate doesn't look like fun. Despite every other legitimate concern, we cannot ignore that our economic and social system is rapidly making the planet less habitable. So I will be posting "Warming Wednesdays" -- unpleasant reminders of an inconvenient truth. When Susan N. Herman set out to write a book about abuses by the U.S. government since 9/11, friends told her they didn't want to hear any more about renditions or Guantanamo. The prison in Cuba is not what Taking Liberties: The War on Terror and the Erosion of American Democracy is about. It's about us: about what the government has done and what we've allowed to be done at home. 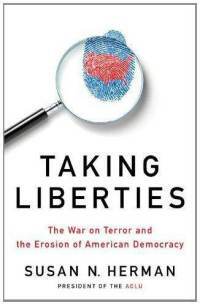 If you've been paying attention -- or just passing through airports, or entering the New York City subway, or maybe even taking books from the library -- you know that since 9/11 the government has decided we need to be watched, recorded and prodded to ensure our "security." Herman calls this the "Just Trust Us" society, since they dispensed with our Constitutional protections against searches and unwarranted surveillance -- and consistently refused to give courts or anyone else enough information to determine whether all this snooping is providing any safety or just covering the asses of an ever-enlarging bureaucracy. We stand indicted as a people that cling to a "childish" expectation that presidents can guarantee our safety. Since this is delusional, we have submitted to delusional measures -- and thereby voluntarily given up much of our inheritance of liberty. Every member of Parliament who presses the green button to vote "yes" for the Protection of State Information Bill will at that moment take personal responsibility for the first piece of legislation since the end of apartheid that dismantles an aspect of our democracy -- a betrayal that will haunt them forever. 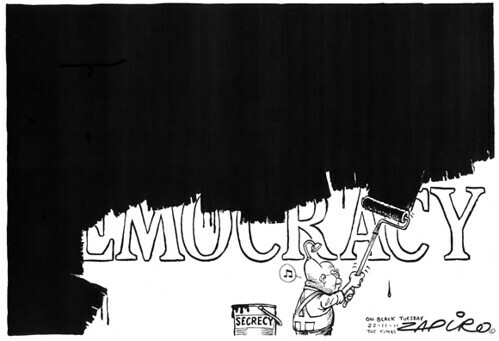 … this vote comes amidst escalating attacks by the ANC on reporters, newspapers and the freedom of the press. Adoption of the Bill could be the first step in a series of attacks, including the creation of the media appeals tribunal mooted by the ANC, that slowly strangle our freedom to know what is being done in our name. The spreading culture of self-enrichment, either corrupt or merely inappropriate, makes scrutiny by a free media which is fuelled by whistle blowers who have the public interest at heart more essential than ever since 1994. If members of the ANC cannot muster the courage to defy their party's leaders and repudiate the Bill, it will again -- as it was under apartheid -- be up to those willing to go to jail for a very long time to expose the abuse of state power. The newspapers will go to court, appealing to the higher authority of the country's post apartheid democratic constitution against the legislative attempt to criminalize speech. The country has a long and noble history of struggle for the rule of law; before he was the apartheid regime's most famous political prisoner, founding President Nelson Mandela was a lawyer. The nation's highest court has shown great bravery in defense of liberty, for example by affirming gay marriage rights in 2006. But free speech and civil liberties in South Africa are clearly under threat, just as they are in the United States. Can written constitutional guarantees save them? "this Arab Spring is a virus that will attack Moscow and Beijing." 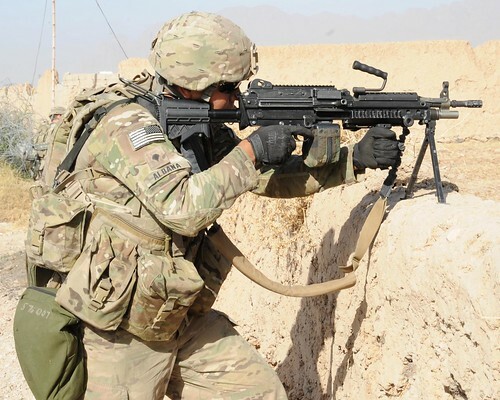 If Senator Jeff Merkley's "expedite the drawdown from Afghanistan" amendment to the National Defense Authorization Act makes a strong showing, that could tip the Obama administration towards a faster drawdown. That would likely save hundreds of American and Afghan lives -- not to mention all the people who wouldn't be physically and psychologically maimed -- and could easily save the U.S. hundreds of billions of dollars, at a time when the alleged need for fiscal austerity is being touted as a reason to cut Social Security benefits and raise the Medicare retirement age. He thoughtfully provides a list of Senators who could make a difference by voting for this thing. If one of these is your Congresscritter, a holler to their office might help. If, like me, you hold on to a car for ten years and only replace it when various parts begin to fall off, the accoutrements and amenities in new models are something of a shock. The last one, acquired new in 1999, introduced me to the cup holder, an invaluable feature of modern American life. 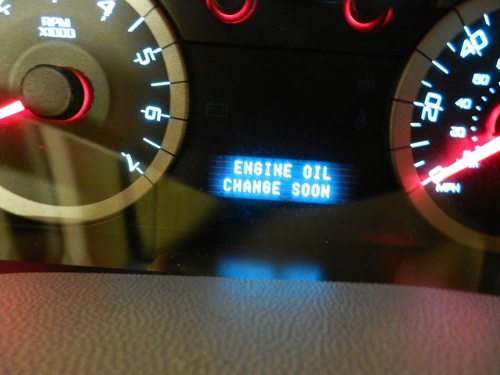 This one, a 2011 model, tells me when she wants maintenance. Presumably the next one, if there ever is such a thing, will drive itself. 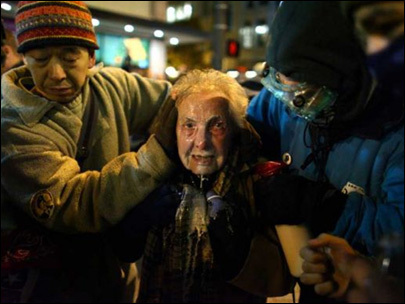 This horrible picture is from the aftermath of a police charge on a group of Occupiers in Seattle on November 15. Law enforcement is being awfully liberal with pepper spray these days. Here Dorli Rainey tells the story her own way. This is all over the web, but if you haven't watched it, it is totally worth your time. (I grabbed it from Ronni Bennett.) ***Now to a doctor to try to get some relief from this awful cold that has felled me. Yes, you can train a cat! Feline agility events began about a decade ago when two couples who met on the cat show circuit went out to dinner and started talking about the tricks their cats did. They modified some dog agility obstacles and showed them to their cats; from there, a group called the International Cat Agility Tournaments — or ICAT — was born. “When we first started it, everybody said, ‘Train a cat? Impossible!’ ” said Shirley Piper, left, one of the four founding members. She and her partner, Kathy Krysta, right, live in Riverside, Calif., with their 20 cats, which they train regularly. 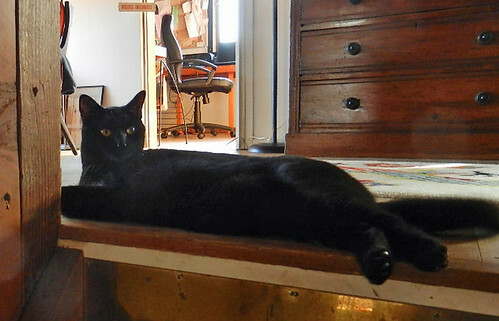 The New York Times offers a photo slide show on serous cat training. Go take a look at the whole thing. ***I'm fighting a rhinovirus today. Nothing deeper than this will come from me. An end to the internet as we have known it? Those of us for whom using the Net is a staple of our work and our lives need to be aware that, like previous "revolutionary" citizen-participation technological innovations such as radio, there are forces that want to shut us down. Rebecca MacKinnon, in an oped article in the New York Times, explains how the proposed "Stop Online Piracy Act" would be as dangerous to free speech in the United States as is China's Great Internet Firewall. The House bill would also emulate China’s system of corporate “self-discipline,” making companies liable for users’ actions. The burden would be on the Web site operator to prove that the site was not being used for copyright infringement. The effect on user-generated sites like YouTube would be chilling. YouTube, Twitter and Facebook have played an important role in political movements from Tahrir Square to Zuccotti Park. At present, social networking services are protected by a “safe harbor” provision of the Digital Millennium Copyright Act, which grants Web sites immunity from prosecution as long as they act in good faith to take down infringing content as soon as rights-holders point it out to them. The House bill would destroy that immunity, putting the onus on YouTube to vet videos in advance or risk legal action. It would put Twitter in a similar position to that of its Chinese cousin, Weibo, which reportedly employs around 1,000 people to monitor and censor user content and keep the company in good standing with authorities. Compliance with the Stop Online Piracy Act would require huge overhead spending by Internet companies for staff and technologies dedicated to monitoring users and censoring any infringing material from being posted or transmitted. This in turn would create daunting financial burdens and legal risks for start-up companies, making it much harder for brilliant young entrepreneurs with limited resources to create small and innovative Internet companies that empower citizens and change the world. Meanwhile, there are other threats to our use of the internet that may be even more serious. In the guise of helping us find the results we want or would like, based on our past internet behavior, search engines and web sites are tailoring what we see when we visit them. Think about it: my Google search results for any particular term do not look like yours; the same goes for the suggested articles the New York Times offers me: you get different ones. In many ways, the personalized commercial internet will be more constraining than a government-censored one. Eli Pariser calls this living in "The Filter Bubble." He explains clearly in less than 10 minutes here. The internet is showing us what we want to see, not what we need to see. … you don't decide what gets in … and you don't decide what gets left out. … We're seeing a passing of the torch from human gate keepers to algorithmic ones. … We need to make sure these algorithms have encoded within them a sense of civic responsibility … we need [the authors of these filter rules] to give us some control so we can decide what gets through and what doesn't. This seems an appropriate place to serve notice that Facebook has announced that as of November 22 it will no longer allow import of blog posts. "You currently automatically import content from your website or blog into your Facebook notes. Starting November 22nd, this feature will no longer be available, although you'll still be able to write individual notes." Apparently they want me to have to visit their useless site daily. Ferget it … I had friends before Facebook and expect to have them after. No more jobs for Filipino nurses? St. Luke's Hospital in San Francisco's Mission District is an anomaly, a small, community oriented institution that serves low income and charity patients. It's by no means an ornament of modern medical practice; it certainly doesn't enhance science or generate high incomes for anyone. It just takes care of sick people. The stumbling non-profit was taken over from the Episcopal Diocese of California by the medical mega-corporation Sutter Health (doing business in San Francisco as California Pacific Medical Center) in 2001 as part of an antitrust settlement; the giant corporation promised to provide some community benefits and keep the hospital open. Community advocates, doctors and nurses have charged ever since that, in a series of phases, Sutter-CPMC has been bleeding St. Luke's to death. If they succeed in killing it, the city will be left with only one hospital in its southern, browner, and poorer sections -- and that will be the under-funded, overwhelmed country hospital, San Francisco General. CPMC will operate 4 of the 10 hospitals in the richer, whiter northern section. Talk about economic segregation of health care … More details here. Now Catherine Traywick at Spot.us offers a thorough account of one element of CPMC's kill-St.-Luke's-with-a-thousand-cuts strategy: they have apparently sought to end hiring of Filipino nurses. The story is inflammatory. For decades hospitals have recruited immigrant Filipino nurses; these well-trained English speakers were thought to be willing to work harder and longer than natives while less likely to agitate for better wages and working conditions because of their non-citizen status. Of course these nurses gradually became rooted in their new country, birthed citizen children and become natives themselves. 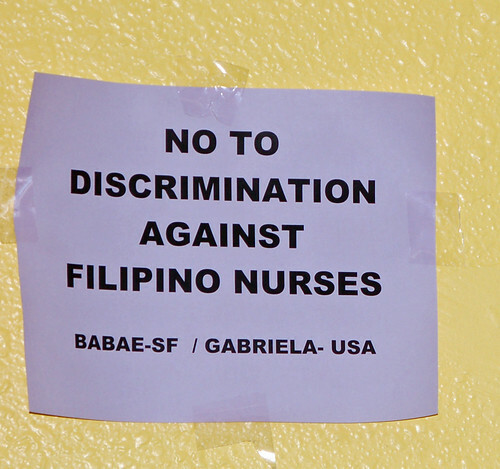 However as more nurses of all ethnicities have seen the benefits of labor organizations, especially in Northern California some Filipino nurses have become militant labor activists and the hospitals find they confront an awakened work force. They don't like it. [U.S.-born Filipina nurse Jane] Sandoval first caught wind of a hiring ban in the spring of 2008. Two of her supervisors, Ronald Rivera and Ron Villanueva (both Filipino Americans), told her that they had overheard CPMC’s vice president of nursing Diana Karner say something to the effect of: We should probably not hire anymore foreign graduate nurses, because it is hard to understand them and be understood by them. The supervisors allege that Karner was referring specifically to Filipinos, who composed the vast majority of St. Luke’s foreign-trained nurses. This particular justification of an incident that, according to CPMC, never even took place, riled Sandoval. Along with many Filipino nurses at the hospital, she doesn’t speak Tagalog, doesn’t have a foreign accent and — like most brown-skinned Filipinos with typically Spanish surnames — is mistaken for Latino often enough. “I grew up in the Mission District, near St. Luke’s, so I know what this community is made of. If the managers would work side by side with us for 10 minutes, they would see there is no cultural divide,” Sandoval said. In essence: Filipino nurses and their Latino patients have more in common than a shared history of Spanish colonization. Having been caught out encouraging racial discrimination in hiring, CPMC then compounded its descent into community infamy by trying to patronize the Filipino community. The CEO thought blogging about his delight in Filipino food might help. This led to outrage in the community. The post sparked an intense ire in the Filipino American community. The San Francisco-based Filipino Community Center (FCC) released a statement calling Browner’s comments voyeuristic, an insult to injury and ultimately irrelevant. Browner subsequently removed the post, but the damage was done. Signs on the walls of FCC. Sutter-CPMC remains locked in struggle with the nurses' union (California Nurses Association) and the Mission community about the future of St. Luke's. Traywick's article is an important contribution to the story and worth a full read. I've been working on a couple of elections these day and noticed a new development. 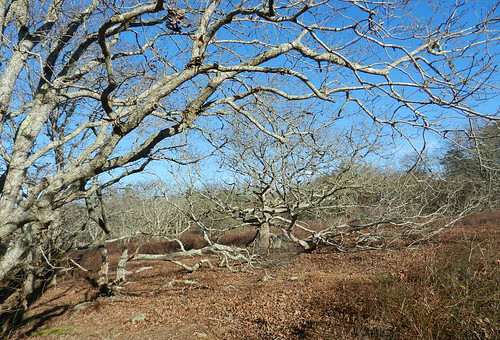 Campaigns still kill vast numbers of tree, between petitions to get people and measures on the ballot, lit pieces to sell their points of view, and repeated printings of voter lists. But one practice has changed. 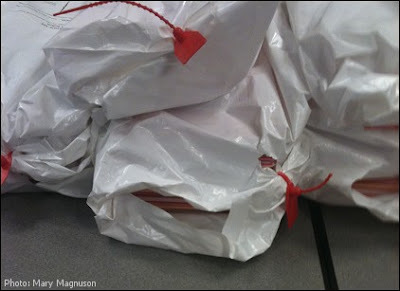 This is more or less what precinct worker kits -- the voter lists and literature we send out with campaign workers to take door to door -- used to look like. Endless plastic bags were assembled for this purpose. This is much more what we see these days. Well-financed campaigns provide fancy bags with campaign logos. 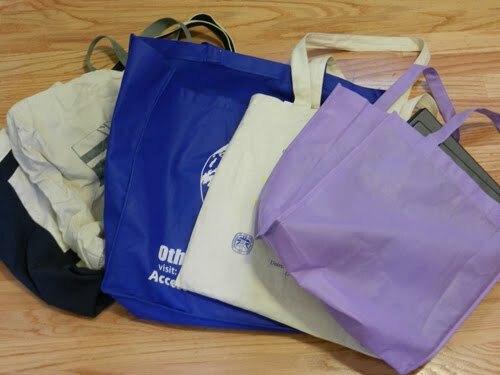 Less affluent campaigns find clothe bags where they can. 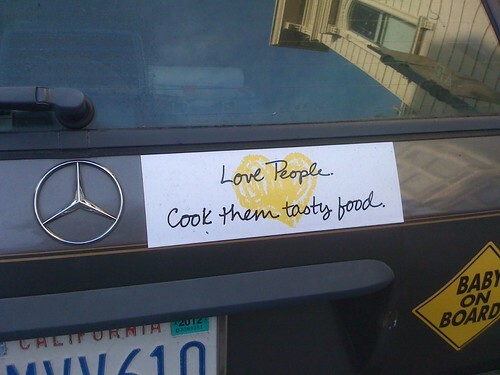 But find them they do. I'm working in a new downtown office, across from the Hyatt Regency. The hotel's workers picket at lunch outside my window. They make choosing this boycotted property a noisy experience. You can read more about the labor dispute here. 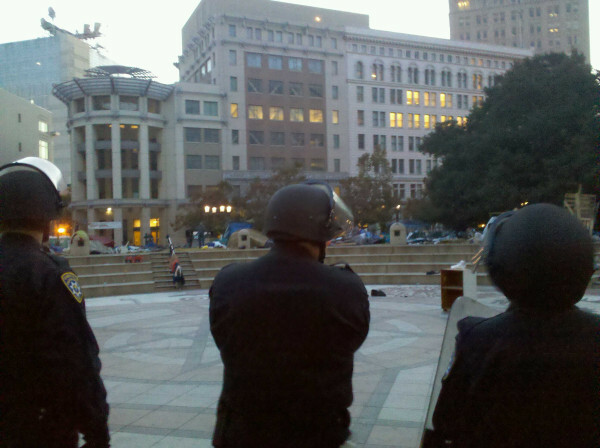 The Occupy San Francisco encampment is just barely out of sight of my window. 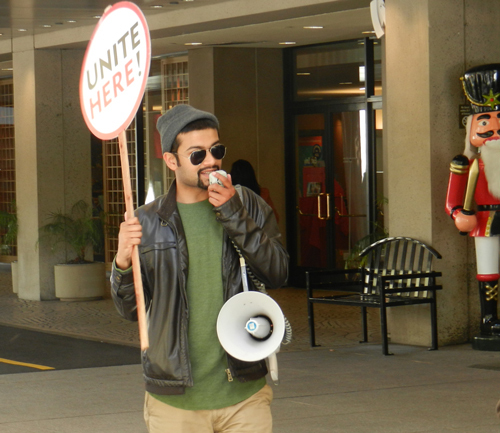 The hotel workers' union announced its support of the movement of the 99% last week. Who'd have thought working in the financial district would have exposed me to such interesting neighbors? ... if you want to contrast the stoicism of the postwar populace with the anger and confusion of today’s voters, don’t blame consumerism; blame our leaders, who have imposed gratuitous, unfair pain on their constituents, who are finally starting to figure it out. The plaza in front of City Hall has been cleared. I can only look at this and think "it was bound to happen." 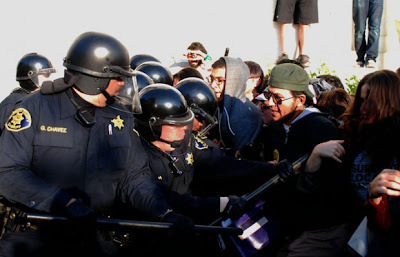 Unfortunately, when the authorities decide to try to suppress protest movements, they almost always to use violence as multiple local police agencies did with tear gas and "non-lethal" weapons in Oakland on October 26. It becomes very hard for protesters under attack to keep the focus on their real issues -- the fact that 99 percent of us are losing our democracy and our livelihoods to enrich the one percent. Instead people become trapped in screaming matches about police and local government misbehavior. At the same time, folks on the edge of the protests -- often testosterone poisoned young males -- feel licensed by police brutality to break with whatever non-violent discipline the majority of protesters want. Meanwhile, in this out-of-kilter society, there are always people with multiple unmet needs, who will see any encampment as at least a temporary refuge. 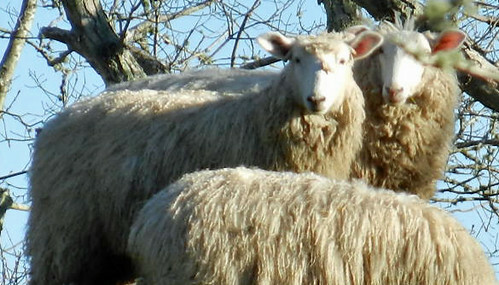 As we move into winter, the Occupys are taking in their share and more of these folks. Anyone who has had regular contact with the Oakland Occupation can see that it has changed. What started out as a political effort to dramatize the failure of our current system to address the needs of the vast majority of Americans has become a temporary community dominated by the long-term homeless. As someone who is proud to have been part of the group that built the needle exchange program in Oakland in the 1990s through direct action against an illegitimate law and through effective service to the people, I spent quite a bit of time interacting with this multi-racial, diverse and sizeable segment of our community, who usually remain dispersed and invisible to the suits who frequent City Hall. This small sub-set of the 99% are an important group whose complex needs deserve to be recognized and addressed. But the truth is that very few of these needs are being met at the current encampment, and just trying to do that consumes the efforts of many and threatens to become the focus of the movement. (These needs won’t be met in “liberated” squats either, and I doubt that the almost exclusively white, almost exclusively young, almost exclusively male people who I’ve seen advocate this would like to share space with the folks I’m referring to). It is and has been true for too long that the City government has neglected this very vulnerable and oppressed part of our family. But I don’t hear a single voice right now raised to address some of the core things that the City Council could do to help these folks, plenty of whom would rather be in no-threshold supportive housing which would allow them the dignity of a home even as they struggle with mental illness and drug and alcohol use, the single greatest reasons that homeless people refuse available services. 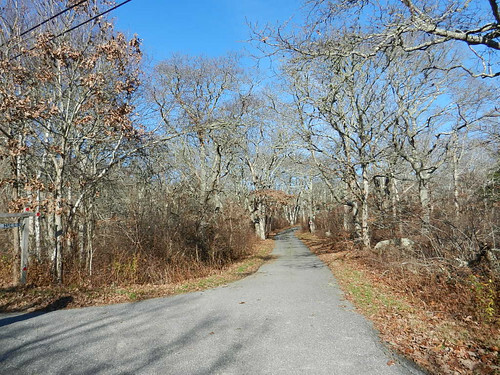 I think it would be great to hear some voices raised to address the needs of that portion of the encampment who really would rather decamp elsewhere but lack the options. In the meantime, we all continue to talk around the elephant in the middle of the plaza. We get tied down in distractions, and make the dividing line about support/opposition to what is becoming an increasingly indefensible situation. And the movement dissipates. There's serious social thought going on in and around these encampments. 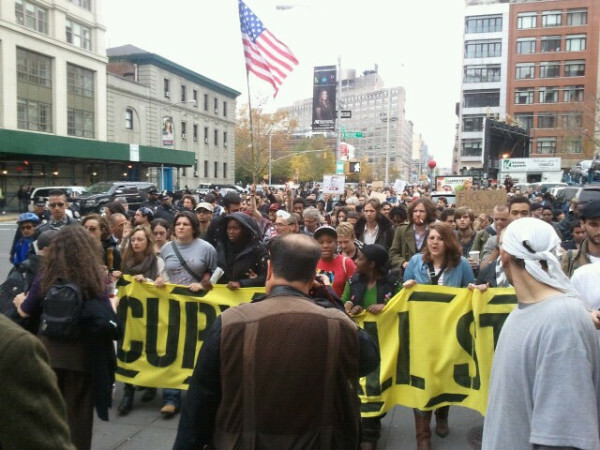 Let's grow a movement of the 99 percent around them! Plodding through my gritty urban neighborhood, this caught my eye. I have to admit, I mentally inserted a semicolon in the middle of the second phrase, as feeling more true to the ironic spirit of the 'hood. Have I perhaps been working too hard? I ride back and forth to work staring at this poster in the BART subway car. Those of us who were around long before 9/11 retain a sense of strangeness about such warnings. I imagine that those who come after will come to accept (and ignore) them -- just part of the landscape, like weather. The first posters I saw in daily life that carried this sort of warnings were in South Africa at the end of the apartheid regime. In 1990, Nelson Mandela had been released from prison, but democratic, one-person-one-vote, non-racial elections were still three years off. Violence between the black majority and disgruntled whites was still in the air. 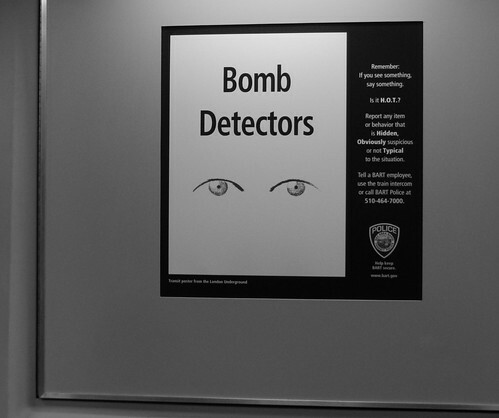 In every shopping mall and post office there were posters displaying images of deadly mines -- "watch out for this!" I hunted the internet for a picture of these posters, but couldn't find one. Somewhere I have a slide. It might be a service to the historical record to upload such an image. That's how South Africans lived then. This is how we live now, facing a different sort of possible violence (or not). At least the subway poster has pretty good aesthetics; it's a copy of something that appears on the London Underground. Londoners can have no doubt that this is not just theater served up by a government that wants to keep them afraid. The feared has happened. Here -- it hasn't. I don't feel particularly afraid of an explosion on mass transit in the Bay Area. We face more immediately believable hazards. BART police very publicly shoot people; there could be a large earthquake anytime. I don't watch much; I just endure my ride. Once upon a time, what we call Veterans Day was "Armistice Day" marking the moment at the "eleventh hour of the eleventh day of the eleventh month" of 1918 when the guns of World War I fell silent in Europe. That unimaginably horrible carnage had stopped, though the respite proved simply the beginning of a 20 year pause, following by another worldwide bloodbath in 1939. This seems a good day to share some insights from one of the books I've been reading about World War I in the course of my project of exploring that conflict's residue in our current world. 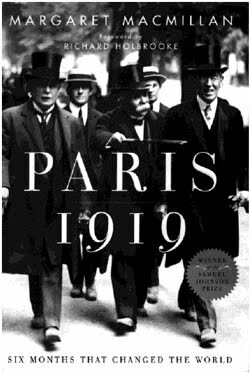 Margaret MacMillan's Paris 1919: six months that changed the world offers a full global survey of the victors' choices in the various treaties and agreements that followed. It is comprehensive, thoughtful and sometimes delightfully snarky about the statesmen who momentarily believed they could construct a new world order. The Paris Peace Conference in winter of 1919 stirred ambitions and imaginings on an unprecedented scale. … until the signing of the German treaty in June at Versailles, Paris housed a virtual world government. ... Paris may have housed a world government, but that government's power was never as great as most people, both then and since, have assumed. ... The peacemakers talked expansively about making and unmaking nations, but the clay was not as malleable and the strength to mold it not as great as they liked to think. Of course, the peacemakers had considerable power. They still had armies and navies. They had the weapon of food if they chose to use it against a starving Europe. They could exert influence by threats and promises, to grant or withhold recognition, for example. They could get out the maps and move borders this way or that, and most of the time their decisions would be accepted ... [but] the ability of the international government in Paris to control events was limited by such factors as distance, usable transportation and available forces -- and by the unwillingness of the Great Powers to expend their resources. That quotation catches what I found the most fascinating aspect of this enormous world survey: the extent to which this European conclave reached into, not only the home continent and the powers' former colonies plus the Middle East where the boundaries it set are still contested, but also into the farthest reaches of Asia. Japan was an ally of the victors. Having shown in 1905 that it could defeat a Russian army, it was acknowledged as a true power, the only non-white one in the world. The Japanese had viewed the European combat as a opportunity for cheap gains from the winner, if only they could pick the right warring coalition. They were willing to flirt with the German/Austro-Hungarian/Ottoman bloc; hence the story of Zimmerman telegram. But eventually they threw down with the British/French/American allies. Japan came to Paris with two objectives. First, it wanted to come away with control of the former German commercial sphere of influence in China at Shantung. The Chinese republic hoped for an end to these foreign enclaves, but the Japanese had forces on the ground and won its point at the peace conference. Japan also held on to naval stations in the Pacific Ocean, presaging future conflict with the United States. If Japan's colonial demands represented its aggressive and militarist side, its other priority at Paris represented a different development path that was ignored and blocked by the united West. Japan was the principle champion of what was called the "racial equality" clause proposed for the founding declaration of the new League of Nations that the peace conference was creating. The story is telling. In the years before the war, Japanese businessmen complained that they were frequently humiliated when they traveled abroad. In California, Japanese nationals just lost the right to buy land, then the right to lease it, and finally the right to bring their wives to join them. In 1906 the San Francisco School Board voted to send Chinese and Japanese children (of whom there were fewer than a hundred in total) to segregated classes lest they overwhelm the white children. Japanese (and Chinese and Indian) immigrants found it more and more difficult to get into Canada and the United States, and impossible to enter Australia. Even during the war, when Japan was fighting as an ally of the British empire, its nationals continued to be excluded. ...As Japan prepared to take its place at the Peace Conference, Japanese newspapers were full of exhortations. "Now is the time," said one editorial, "to fight against international racial discrimination." ...In the Commission on the League of Nations, Makino and Chinda discreetly let it be known that they were working on a clause that they would, in due course, bring forward. ... "The equality of nations being a basic principle of the League of Nations, the High Contracting Parties agree to accord, as soon as possible, to all alien nationals of States members of the League equal and just treatment in every respect, making no distinction, either in law or in fact, on account of their race or nationality." In 1919, all parties looked to U.S. President Woodrow Wilson to advance a moral world order. After all, he has staked out a role as the carrier of moral aims amid the horrors and corruption of the war. Those who hoped this might bring him on board with Japan's clause were to be disappointed. ...The loudest opposition to the racial equality clause came from the British empire delegation, in particular from Billy Hughes [of Australia]. ... The Japanese thought Hughes "a peasant"; he complained that they had been "beslobbering me with genuflexions and obsequious deference." ... Wilson knew that any reference to racial equality would alienate key politicians on the West Coast, and he needed their votes to get the League through Congress. He urged the Japanese to withdraw their amendment. It was a mistake, he said, to make too much fuss about racial prejudice. ... The Japanese delegates insisted on a vote. When a majority voted for the amendment, Wilson, with the dexterity he had no doubt learned as a university president, announced that because there were strong objections to the amendment it could not carry. The Japanese chose not to challenge this dubious ruling and so the racial equality clause did not become part of the [League] covenant. MacMillan wonders whether, had the powers of the world put themselves even nominally on the side of non-discrimination by race or religion, might twentieth century history evolved differently? ***In the end, MacMillan's assessment of the work of the men at Paris is kinder than we might expect. The United States never joined the League of Nations its President had promoted. In the 1930s, fascist powers ran over every restraint that was intended to keep the peace. But MacMillan believes the better visions of Paris 1919 had a resonance that mattered. Only a handful of eccentric historians still bother to study the League of Nations. Its archives, with their wealth of materials, are largely unvisited. Its very name evokes images of earnest bureaucrats, fuzzy liberal supporters, futile resolutions, unproductive fact-finding missions and, above all, failure: Manchuria in 1931, Ethiopia in 1935 and, most catastrophic of all, the outbreak of the Second World War a mere twenty years after the first one had ended. The dynamic leaders of the interwar years -- Mussolini, Hitler, the Japanese militarists -- sneered at the League and ultimately turned their backs on it. Its chief supporters -- Britain, France and the smaller democracies -- were lukewarm and flaccid. The Soviet Union joined only because Stalin could not, at the time, think of a better alternative. The United States never managed to join at all. So great was the taint of failure that when the powers contemplated a permanent association of nations during the Second World War, they decided to set up a completely new United Nations. The League was officially pronounced dead in 1946. It had ceased to count at all in 1939. ....The League did represent something very important: both a recognition of the changes that had already taken place in international relations and a bet placed on the future. Just as steam engines had changed the way people moved about the surface of the earth, just as nationalism and democracy had given them a different relationship to one another and to their governments, so the way states behaved toward one another had undergone a transformation in the century before the Peace Conference met. Of course power still counted, and of course governments looked out for their countries, but what that meant had changed. If the eighteenth century had made and unmade alliances, and fought and ended wars, for dynastic advantage, even matters of honor, if it was perfectly all right to take pieces of land without any regard for their inhabitants, the nineteenth century had moved toward a different view. War increasingly was seen as an aberration, and an expensive one at that. In the eighteenth century someone's gain was always someone's loss; the overall ledger remained balanced. Now war was a cost to all players, as the Great War proved. My emphasis. Have we learned? I think to some extent we have and that it remains the job of arroused people to remind our rulers: No more wars! ***World War I still matters far more than we realize when we think about the contours of the contemporary scene. Previous posts on this history appear here, here and here. A few month ago I opined that President Obama couldn't be moved by environmental activists to stop the Keystone XL tar sands pipeline. Sure, he needed to shore up his base for the 2012 election. But I thought he'd treat people who cared about climate and pollution as in the bag, so frightened by any Republican that he could ignore them. Evidently not so. Perhaps he got tired of having his campaign fundraising events dogged by protesters. Maybe he found it sleazy that the "environmental assessment" of the project was contracted out to a company with big contracts with the pipeline builder. But for whatever reason, the administration has delayed a decision for more review. 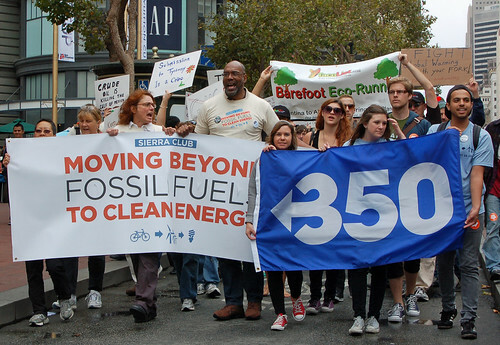 Bill McKibben, who has been leading the opposition via 350.org, believes we should take this as a victory. The President deserves thanks for making this call -- it’s not easy in the face of the fossil fuel industry and its endless reserves of cash. The deepest thanks, however, go to you: to indigenous peoples who began the fight, to the folks in Nebraska who rallied so fiercely, to the scientists who explained the stakes, to the environmental groups who joined with passionate common purpose, to the campuses that lit up with activity, to the faith leaders that raised a moral cry, to the labor leaders who recognized where our economic future lies, to the Occupy movement that helped galvanize revulsion at insider dealing, and most of all to the people in every state and province who built the movement that made this decision inevitable. Our fight, of course, is barely begun. Some in our movement will say that this decision is just politics as usual: that the President wants us off the streets -- and off his front lawn -- until after the election, at which point the administration can approve the pipeline, alienating its supporters without electoral consequence. The president should know that if this pipeline proposal somehow reemerges from the review process we will use every tool at our disposal to keep it from ever being built; if there’s a lesson of the last few months, both in our work and in the Occupy encampments around the world, it’s that sometimes we have to put our bodies on the line. McKibben isn't joking about that. People aren't about to let this abomination be built. It would be easy to dismiss this little video as just more political propaganda, but it is extraordinarily heartfelt. Mayor Cory Booker of Newark has devoted his tenure to the staggeringly difficult task of ending his city's too well-earned reputation as the homicide capital of gritty east coast cities. He has made progress. Now gun enthusiasts want to circumvent local regulations that prevent carrying concealed weapons by forcing cities to honor permits from other states. Booker begs for commonsense. Students tried to set up a tent encampment on campus Wednesday afternoon. The administration was having none of it. Student tuition and fees have risen for six straight years. The university has plans for another 9 percent hike in the fall. Student Lark Omura captured students' fury as she screamed at the crowd: "We just spent trillions of dollars on the war, and the politicians tell us we have no money for education! When they tell us there's no money, it's a lie!" Sure there's money. But the 99 percent don't get to have any of the benefit of it. I have to admit the sight of police batons on Sproul Plaza takes me back -- it is no joke to get whacked while trying to speak out. Photo by Tony Zhou of the Daily Cal. 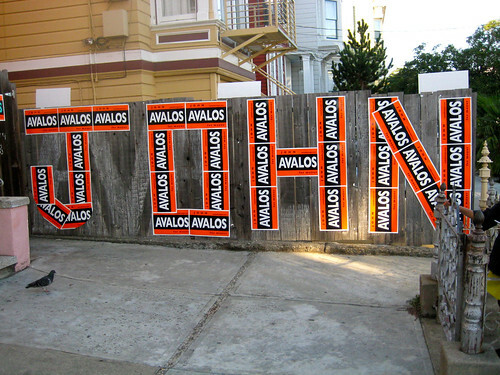 In the wake of four days getting out the vote for John Avalos for Mayor, I'm in the familiar condition of a campaign worker after the election: I feel like I've been run over by a truck. We haven't won and most likely will not as the Byzantine process of counting the votes through San Francisco's ranked choice process goes on this week. It is very likely we won't know the end of this until Thursday afternoon or even later. Once again it has been shown that the city won't allow citywide candidates to run for office from the mushy middle. A gaggle of seemingly plausible candidates tried it (City Attorney Herrera, Supervisor Chiu, State Senator Yee, Public Defender Jeff Adachi). But despite our idiotic voting system that aims to prevent sharp definition of candidates, the electorate polarized between incumbent Ed Lee as the candidate of the monied interests and Supervisor Avalos from the left. There's no technical fix to this divide. We will continue to slug it out. 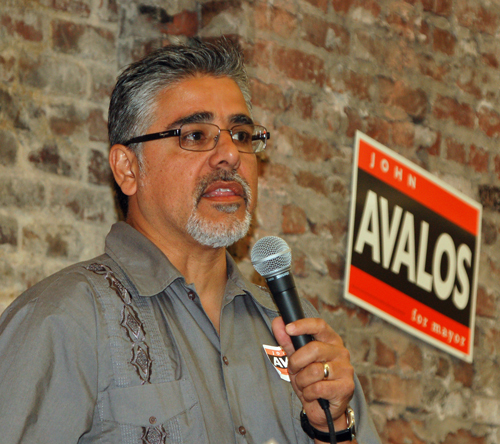 After a slightly rocky start, the progressive forces in the city got themselves together and worked their butts off for Avalos. Skills were acquired and alliances forged that will serve the city well for years to come! It's almost gospel among political scientists that national political campaigns matter far less than the media and their participants believe. Voters' sentiments are grounded in perceptions of their immediate economic conditions; their longstanding political allegiances to one party or another are largely unvarying despite all the sound bites, ads, and hoopla. You can pretty much count on people to vote as they have in the past, only shaken in their inclinations if they think something is going very wrong. Here's Jonathan Bernstein with a measured discussion of how presidential campaigns do and do not make a difference. Since I'm by vocation a campaigner who organizes in political contests, I'm supposed to be skeptical of the assertion that campaigns don't matter, but I'm not. I see lots of activity that I think is just waste. Much direct mail, many phone banks, and all emails and robocalls fall in that category. This stuff mostly just makes money for the purveyors. You don't have to take my word for it; the research has been done. On the other hand, I'm certain that good campaigns -- particularly at the local and state levels -- unleash energy and creativity for citizenship, build networks of people that can endure past the momentary effort, and sometimes even elect better people than we'd get if we just sat back and ignored the fray. …A campaign is the defining democratic exercise for a country founded on the consent of the governed. Since the Jacksonian Democratic revolution against elitism in the 1820s, each revolution democratizing American life further popularized the campaign. Democracy trumped dignity; mass politics required mass appeals that frequently became protracted, vulgar brawls…. Campaign budgets reflect the time candidates require to capture attention across America’s continental expanse. Candidates compete against the din of modern life, not just against each other. Considering that Procter & Gamble spent $8.7 billion in 2008 peddling detergents and razors, spending $4.3 billion for the 2008 campaign appears a reasonable price to pay for democracy. The pic is John Avalos at this kickoff. Derrick Bell and the "life of riches"